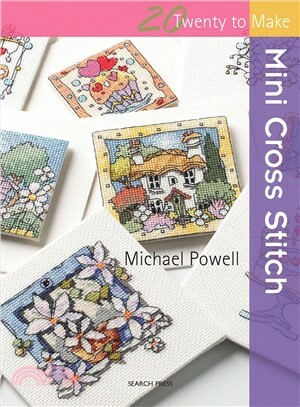 Each of Michael Powell's quirky, contemporary mini-cross-stitch designs are accompanied by a full-color chart, key, and instructions for completing the projects. All the designs can be worked on 14-count Aida or evenweave fabric and measure approximately three and one-half inches. There is a broad range of subjects to choose from, including country cottages, flowers, hearts, and Christmas trees, so whatever the occasion, there is bound to be a design that suits it perfectly. General instructions, simple stitch diagrams, and notes on fabric preparation are included at the beginning of the book, so even those new to cross stitch will be able to accomplish all of the projects. Michael Powell is a versatile artist who has won the British Craft Awards Designer of the Year on several occasions.